"Never go to a meeting without a strategy." "Ride the horse in the direction it's going." These are just two of the gems unearthed from the trenches of Hollywood by Lynda Obst, one of the most successful producers in the movie business today. 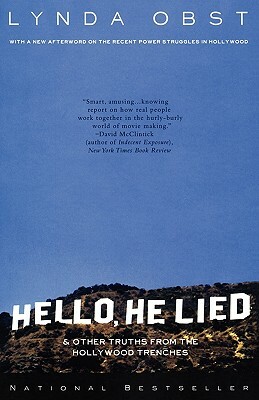 In Hello, He Lied, Obst offers real, practical advice to would-be professionals in any field: "Thou shalt not cry at work," "thou shalt not appear tough," "thou shalt return all thy phone calls," and more. She takes us inside high-pressure meetings with David Geffen, onto the set of Sleepless in Seattle, and into the heated negotiations for The Hot Zone and reveals what she's learned in more than twenty years in the business: how to swim with the sharks--and not get eaten. Lynda Obst is the head of Lynda Obst Productions. She has produced some of today's biggest movies, including The Fisher King, Sleepless in Seattle, One Fine Day, and Contact. She lives in Los Angeles and Texas.